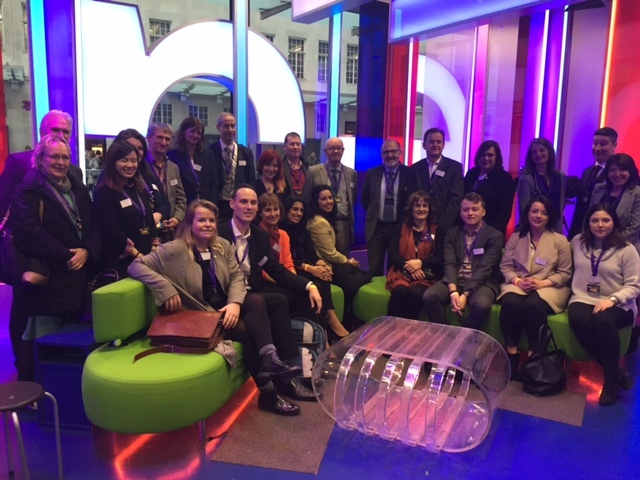 Tonight BBC New Broadcasting House hosted the UKinbound November General Meeting. The building is worldwide headquarters of the BBC and sits right in the heart of central London. The BBC runs tours of the building regularly throughout the day which can be booked in advance via BBC Tours. Natalie Browne and Rosie Ranford from made stepped inside the exciting world of broadcasting! They were shown the studio, which is home to ‘The One Show'. The tour guides explained how the nightly topical magazine programme is put together. Photographed are the UKinbound delegation on the famous sofa where many favourite celebrities and personalities have sat and been interviewed by Matt, Alex and Chris! The Broadcasting House Tour is available seven days a week. 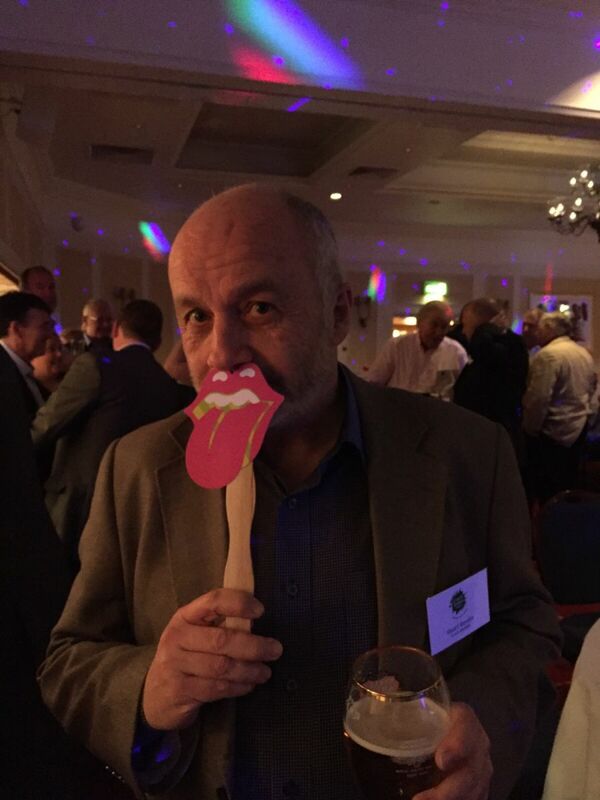 Last night we joined the Coach Tourism Council (CTC) at their annual Christmas social in Sunderland. The Coach Tourism Council promotes travel and tourism by coach. 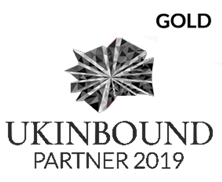 They work with over 150 companies and organisations who are also members. They include national and regional tourist offices, attractions and destinations, hotels, tour wholesalers, ferry and fixed link operators, ports, ticket agencies and professional advisers. The event was sponsored by our client EXHIBITIONISM the first ever major exhibition about the The Rolling Stones at London’s prestigious Saatchi Gallery. Pictured is Editor of Coach Monthly Stuart Render. Today we are presenting London’s cultural offerings to Chinese Travel Companies in the city of Wuhan. 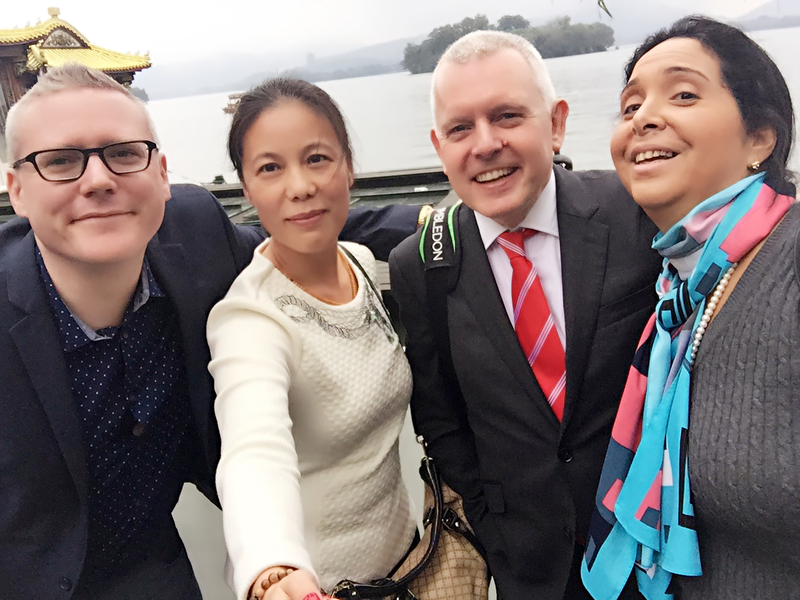 Pictured on the banks of Wuhan's famous East Lake are Jonathan Mountford of made tourism marketing, Equal Han of China Holidays & Hello Britain, Ashley Jones of Wimbledon Lawn Tennis Museum and Ana Araque form The View from the Shard. The lake covers an area of 88 square kilometres and is visited by over 1 million people yearly. Thanks to 'Skate at Somerset House with Fortnum and Mason', our travel trade friends were able to experience a fabulously festive evening at beautiful Somerset House. Following a long week of WTM, our guests took to the ice at this iconic and historic location. As well as showing off their skills on the ice, guests were able to relax with a glass of mulled wine at Tom’s Skate Lounge before perusing Fortnum and Mason’s stylish pop up in the Christmas Arcade. Open until the 10th of January, Skate is not to be missed! 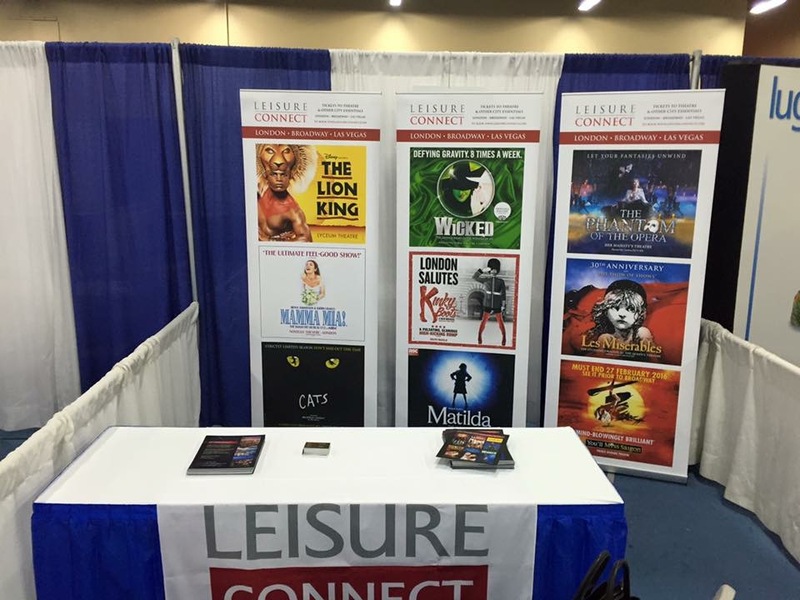 Today we have teamed up with Leisure Connect to exhibit at the Signature Sales Meeting & Trade Show that is being held at the Mandalay Bay Hotel, Las Vegas. This annual conference brings together over 2,000 travel industry professionals, including Signature frontline travel consultants, managers and agency owners, as well as their supplier partners to network, connect and learn from each other. Tonight made hosted the International Gay & Lesbian Travel Association's World Travel Market party at Ku Klub in Chinatown. 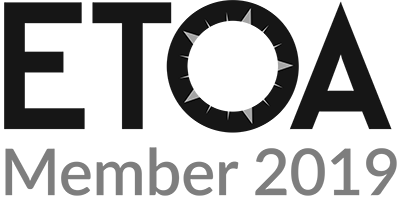 IGLTA is a gay-friendly global travel network dedicated to connecting lesbian, bisexual and transgender travelers to the businesses that welcome and support them. We also raised over a thousand dollars for the IGLTA Foundation. 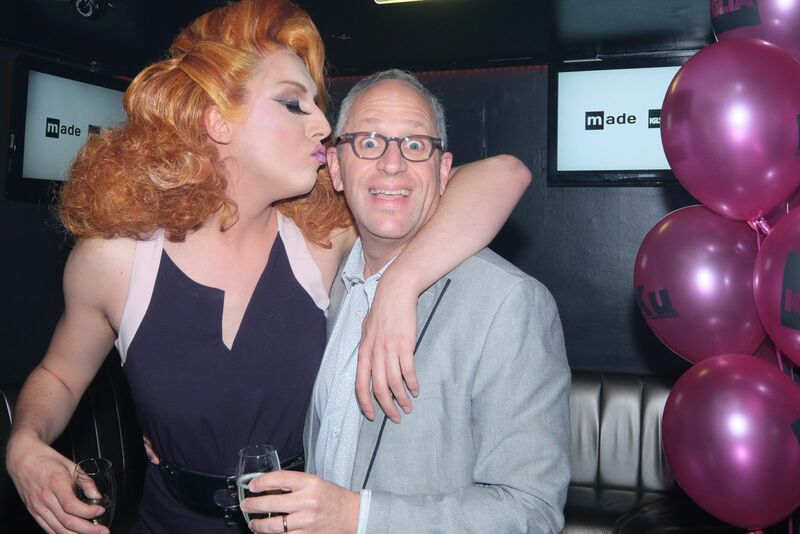 Pictured at the event are 'Frankie Fantastic' and Clark Massad Vice President, IGLTA. Yesterday we hosted the American Society of Travel Agents, World Travel Market, International Chapter Presidents Dinner onboard the Sunborn Yacht Hotel. The event was sponsored by made and included a five course meal on the upscale yacht hotel moored at the Royal Victoria Dock and adjacent to the ExCel London convention centre. Today made's John Bridge has been busy at World Travel Market working the Broadway Inbound booth located on the NYC & Company stand. 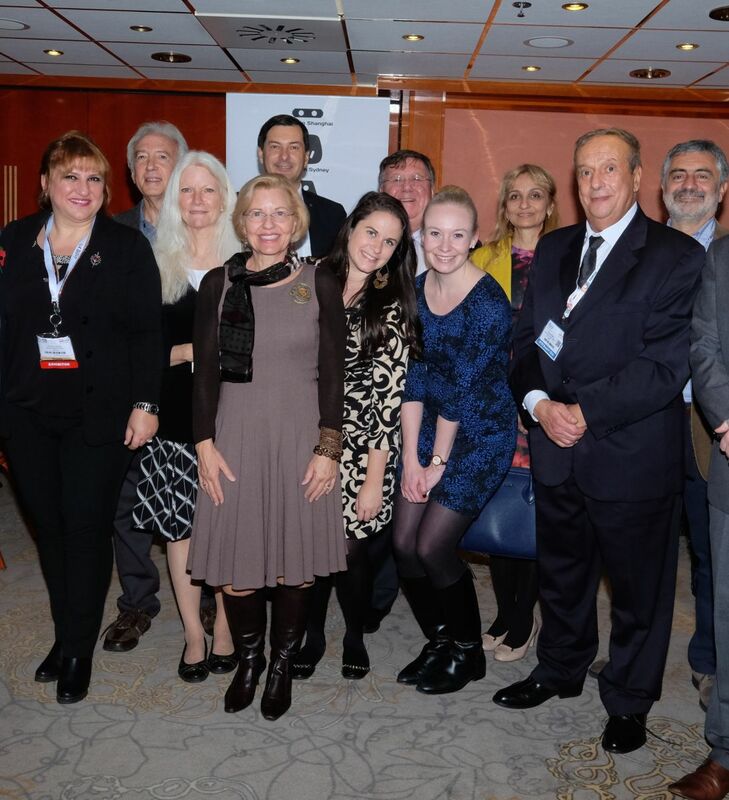 NYC & Company is New York City's official marketing, tourism and partnership organisation. Their mission is to maximize travel and tourism opportunities throughout the five boroughs, build economic prosperity and spread the dynamic image of New York City around the world. Meanwhile made's Natalie Browne has also been busy representing New York's One World Observatory, Metropolitan Museum of Art and San Francisco Museum of Modern Art. 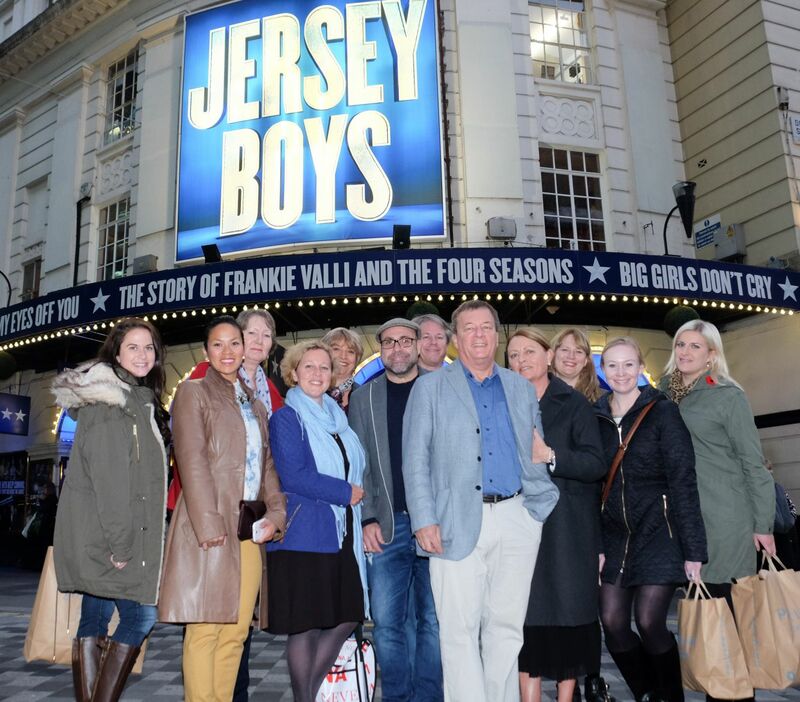 made tourism marketing were delighted to host a delegation of Canadian Travel Trade at Sunday’s performance of Jersey Boys at London’s Piccadilly Theatre. The internationally acclaimed hit musical, tells the remarkable rise to stardom of one of the most successful bands in pop music history. Discover the incredible music and true-life story of Frankie Valli and the Four Seasons, who wrote their own songs, invented their own sounds and sold 175 million records worldwide – all before they were thirty. After the show we teamed up with Air Canada to host the travel trade at a drinks reception at the Maple Leaf Pub in Maiden Lane. Pictured are made tourism marketing North America Consultant Armando Mendonca (centre) and guests. 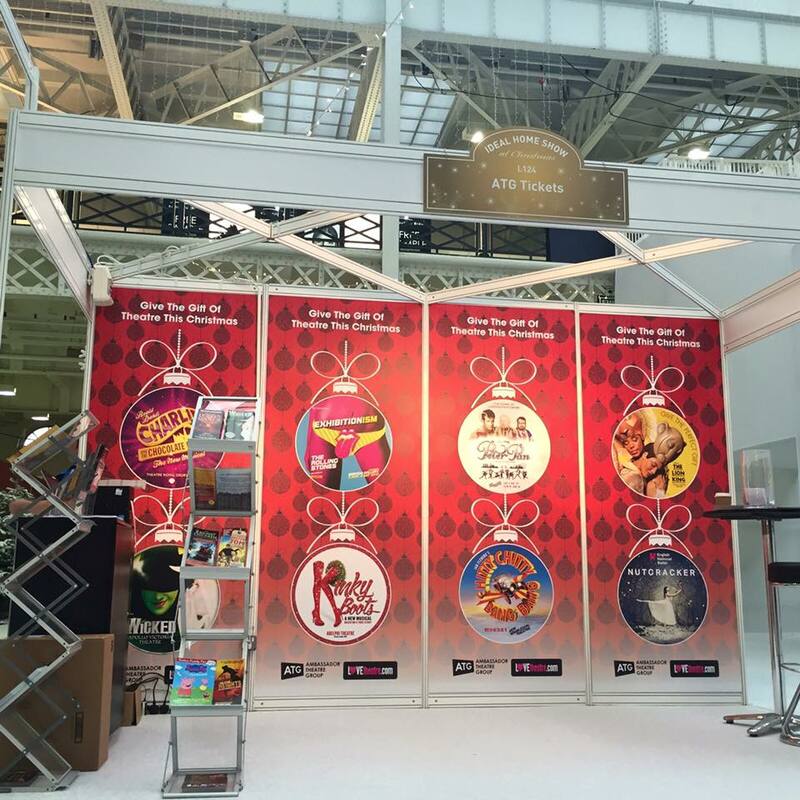 Cheers, to the Barber of Seville and World Travel Market 2015! 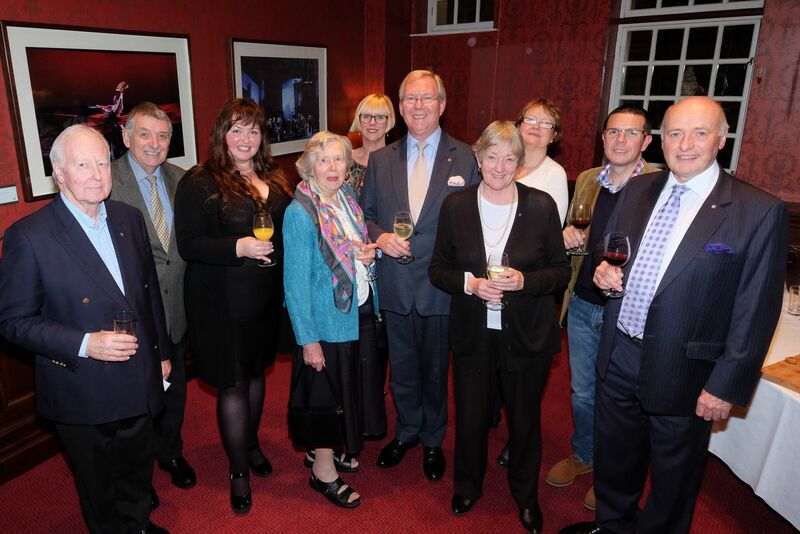 Last Friday this enthusiastic group of Skål members enjoyed a pre-show drink before watching the English National Opera acclaimed performance of The Barber of Seville. 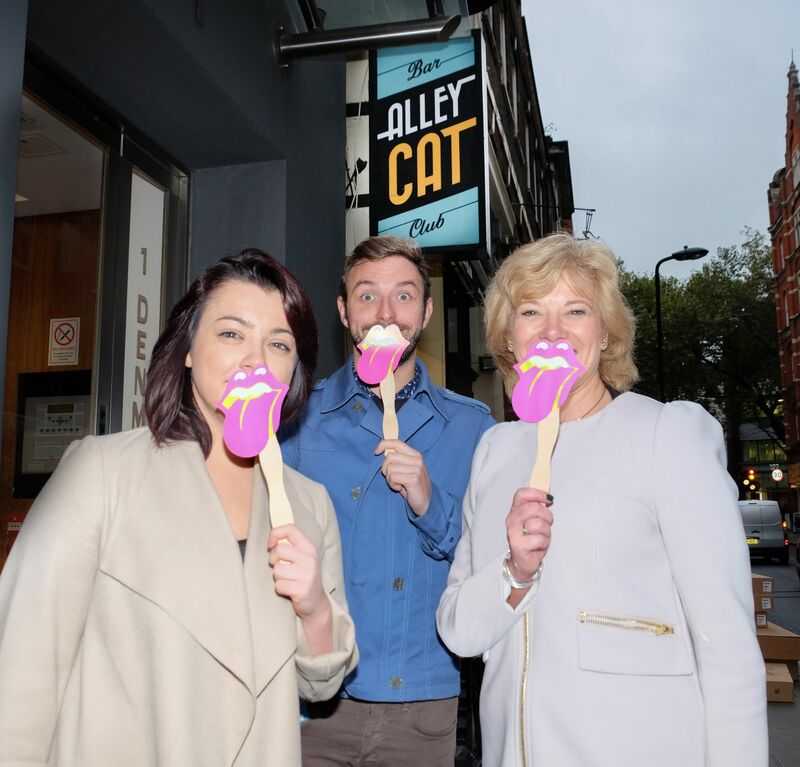 They also used the occasion at London’s Coliseum Theatre to get into the mood for World Travel Market by raising a glass to the success of this year’s show. 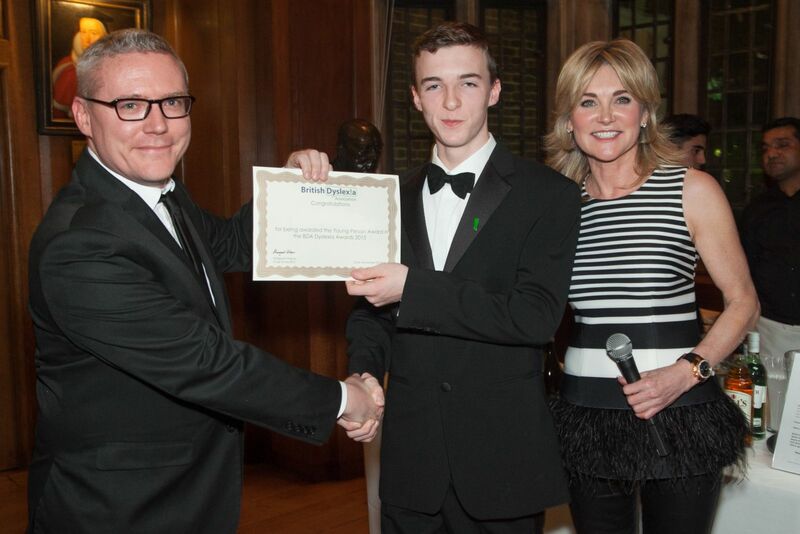 The event was organised by English National Opera and made.